A leading legal blog is trying to get a translation into English of a Mexican law on fire arms . The initial translation was done via machine, and then reviewed and modified by very inexpert humans. readers with good Spanish skills to provide suggestions for improvements in any or all of the 91 Articles of the Mexican firearms law. Please focus on improving the translation. That is, they are trying to get a long legal translation on a delicate subject requiring well-polished professional skills by relying on the skills of a mob of untrained amateurs. 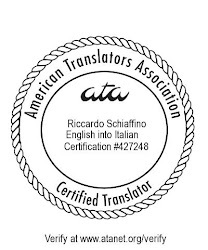 You could pay a professional and get a high-quality translation. A good legal translator should complete the translation in about a week (plus another couple of days for editing, by a second professional). If you ask an experienced translator, the cost will be around $2500 to $3000. Or you can do what you are doing: rely on untrained amateurs and software programs, get the translation for free or on the cheap, and end with the quality you are paying for. I know that many assume that mere knowledge of a language is enough to translate. A professional translator, however, is the product of a rigorous university and postgraduate course of study, followed, at least for those who succeed in their job, by several years' professional experience. Hoping that untrained amateurs and a software program can produce a reliable translation is as plausible as hoping that a pro se defendant and a software program can produce a useful legal brief. I would also recommend against paying for a professional translation. In addition to being ridiculously expensive, there' just no reason for it, particularly when one is translating into one's native language and has a decent knowledge of the original language. I would also recommend against paying for a professional lawyer. In addition to being ridiculously expensive, there' just no reason for it, particularly when one is reading one's native law system and has a decent knowledge of the original law system. Of course, if you were acting as a lawyer the other way around, that'd be different. But it seems to me that you and your intern (well, at least your intern, if your skills really are as rudimentary as you suggest) should be able to produce an adequate defense in front of a court for your purposes." I'm not a translator, but I do cross-linguistic research and research in bilingualism. I can't stress enough how difficult it is to translate material. When we need written documents my colleagues and I usually take a first pass at it, but then we have our work checked by a professional translator. There are so many things that can go wrong otherwise that threaten validity and reliability of findings. Wow, just wow. Well, this pretty much illustrates the uphill struggle we are faced with in our profession. Half the job really is marketing - convincing potential customers why they need to seek out a professional service if they care about quality. Well, translating a legal document implies mastering not only both source and target language but also source and target legal systems. Failure to do so might lead to serious problems. This, of course, does not mean that a lawyer is the best person to translate your document, but a legal translator certainly is!